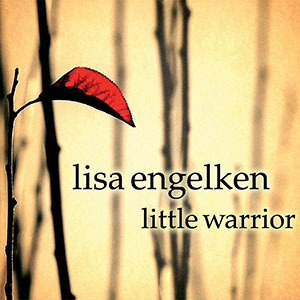 Lisa Engelken is a fearless, versatile singer as she demonstrates once again on her new release, Little Warrior. Her song selection and interpretations reveal an eclectic artist who’s always pushing the envelope in terms of creativity. On this album Engelken includes heartfelt renditions of songs from composers as diverse as Ric Ocasek “You wear those eyes”, Joni Mitchell “Cold blue steel & sweet fire” and Tom Waits “Blue Valentines”, names not usually associated with jazz. Even her originals compositions made clear Engelken is not your common jazz singer. Her music is accessible to any ear but still possess a high degree of complexity and substance, and her lyrics are deep and sophisticated. 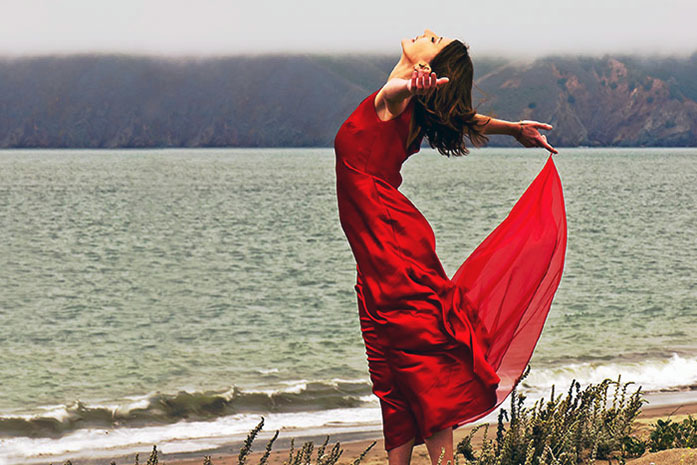 Engelken’ style reflects influences as diverse as the funky groove of “Foggy Bottom”, the Franco Godi/Maurizio Nichetti samba “Viva la Felicitá” (Engelken sings in perfect Italian on this one), the fusion of Abbey Lincoln’s “Throw it Away”, the powerful interpretation of Chick Corea’s “Sea Journey”, and the jazzier track by Herb Brown “All I do is dream of you”. On this track Engelken shows she can swing with the best of them, and that she is most of all an accomplished jazz singer. In “Housemate from Hell” and “Little Warrior”, both originals, Engelken displays her take no prisoners, full of risks attitude, playing with the versatility and different colors of her voice, mysterious, mischievous, adventurous, intimate and at times sensual. Engelken’s lyrics to Wayne Shorter “Undertow” adds to the haunting mood of this Shorter classic, reinforced by the brilliant lines of Erik Jekabson on trumpet. As good as she is in the studio the word out there is that her live performances are even better so, if you have the chance to see her live do not miss the opportunity. Musicians: Lisa Engelken – vocals, Bill Cantos – piano, b3 organ, Sam Bevan – bass, Matthew Swindells – bass, Joel Behrman – trumpet, trombone (2,3,4,6,7,8,9), Erik Jekabson – trumpet, flugelhorn – (1,4,5,6,7,9), Mike Olmos – trumpet (3), Evan Francis – flute (2,3,6,9), Robert Roth – tenor sax (1,6,7,9), Matt Heulitt – guitar (1,3), Carlos Oliveira – guitar (2), Rob Reich – accordion (5), Brian Rice – percussion (2,3,6), Dan Feiszli tambourine (1), Christie Winn – backing vocals (2,3), Jennifer Lee, Carey Williams – backing vocals (2).